‘Tis the season for mud, crunchy leaves and long country walks! Whether it’s a walk into your local town or a wander through the woods, autumn is everywhere… We say enjoy every minute of it! So go and dust off your pair of trusty wellies, go outside and get stuck in. If you are like us and simply can’t get enough of the beautiful British countryside, you know that this autumn you are going to be spending a lot of your time outdoors. You’ve carefully planned days for trudging through glorious mud, crispy autumn leaves and temptingly delicious puddles. 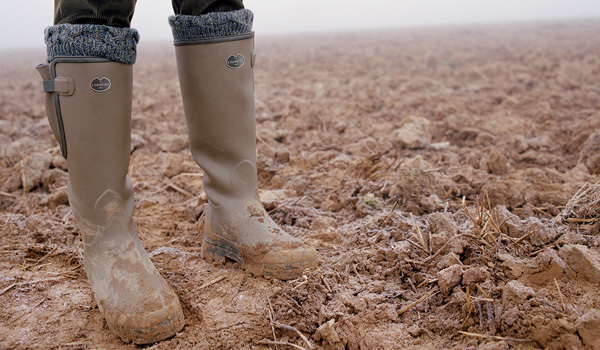 There is nothing more satisfying than the squelching of mucky mud spurting from underneath your wellies; the sound of squishing beneath your feet, (I simply cannot resist stomping in an oozing patch of good old country mud with my Le Chameau Vierzonord’s!). Plus it doesn’t matter if you get completely covered from head to toe; it’s good for the skin right? Come to think of it mud has many therapeutic properties… All the more reason to jump straight in! The countryside in autumn makes for the perfect time of year to go wandering in the woods. Gold, red, and auburn leaves are strewn all over the ground like a gentle blanket covering each and every pathway. There is something magical about following a trail of leaves; not only does the bright and colourful ground make you feel like Dorothy from the Wizard of Oz, it also makes you feel as though a rich carpet has been laid down especially for you to walk on. The sounds of crunching leaves and the snapping of twigs have a slightly nostalgic twang of childhood memories. Those were the days where you would spend hours upon hours playing in the wild and wonderful undergrowth. The only disadvantage of the autumnal countryside is that it doesn’t come with central heating! The air is crisp and the wind can be chilling at times. That’s why I always take my trusty Barbour jacket with me on my rural adventures. If you love the countryside then why not take someone along to enjoy it with you? (It sure is big enough to!). Don’t just go by yourself, take a loved one, a best friend, or a lovable pooch to relish in the wonders of nature. There is nothing better than walking up and down woodland trails and stony pathways with friends in toe; talking your worries away and laughing until your sides hurt. If it’s a pleasantly sunny day why not make the most of it and indulge in a scrummy picnic? Now head on out to the countryside, relax and simply watch the world go by. Believe me, it will do you good! As dusk slowly brushes its way across the wintry sky and the temperature starts to drop, it might be a good idea to steadily make your way home. Not because the countryside isn’t beautiful in the late hours of the day, but because it’s a good excuse to head on home and stoke up a cosy fire. Once you get home slip off your wellies and pop on your comfy slippers, make a tasty cuppa (or a cheeky glass of wine), and relax in front of the balmy fire. You’ve had a busy day of relaxing, you should take it easy and relax some more… Treat yourself, you deserve it! We’ve got everything you need for your country adventures, visit our website and we’ll kit you out! 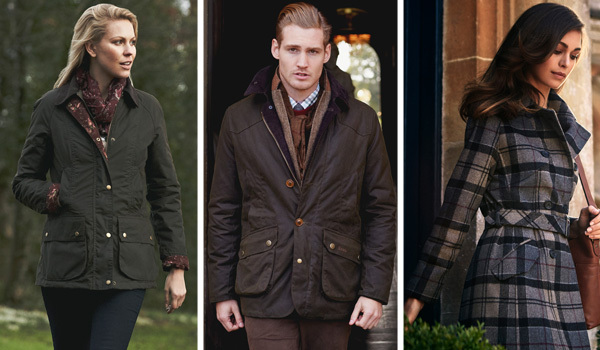 Autumn, barbour, Country Walks, Country Weekend, Countryside, Countryside Escape, Dubarry, Hiking, Le Chameau, Relaxing, Walking. Bookmark.